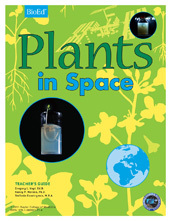 Download the Plants in Space teacher's guide. Click here for larger image. The Plants in Space habitat aboard the International Space Station. Click here for a larger image. A unique science project designed to sow the excitement of scientific discovery in students is sprouting this week aboard the International Space Station (ISS). The Plants in Space project will allow students and teachers to examine root growth in microgravity and compare the results with those from plants used in their own ground-based experiments. The National Space Biomedical Research Institute (NSBRI) is funding the project, which began Tuesday when station astronauts planted Brassica rapa (Wisconsin Fast Plants®) seeds during the first of four scheduled five-day trials. A free, downloadable teacher’s guide provides information about the project and the equipment needed by educators and students to design and conduct experiments in their classrooms. While the project’s primary scientific goal is to investigate the influence of light on root orientation, NSBRI Education and Outreach Program Principal Investigator Dr. Nancy P. Moreno said researchers also are excited about the educational outcomes of Plants in Space. "The greatest value of this set of experiments could be its impact on young minds and the direction those students may take in the future," said Moreno, who is a professor of allied health sciences at Baylor College of Medicine (BCM) and senior associate director of BCM’s Center for Educational Outreach. "This project provides an opportunity for students, particularly in middle and high school, to use some of the life sciences knowledge they have already learned." NSBRI is funding Plants in Space, which is being conducted in cooperation with BCM, BioServe Space Technologies at the University of Colorado, and NASA. The teacher’s guide, project information, a "how-to" video and project imagery can be accessed at http://www.nsbri.org/Plants-in-Space/. 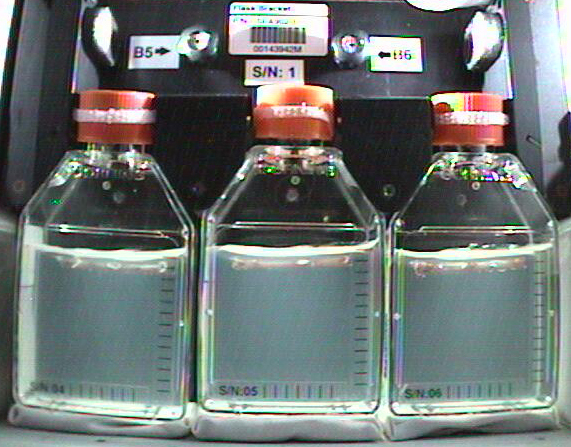 During the trials, astronauts are planting seeds in a clear nutrient-filled gelatin. Photographic images of root growth will be taken for five days during each trial and archived online. 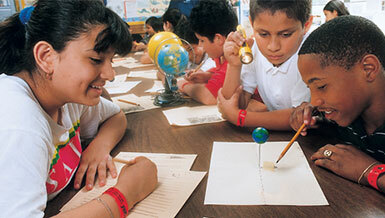 With the help of the teacher’s guide, students can conduct authentic science by designing their own experiments, based upon their own questions. Students will be able to compare observations and results of their investigations to those of the ISS experiment and the project’s ground-based control. "An important aspect of the Plants in Space project is that it is not cookbook science. Unfortunately, too often in science class, kids follow a procedure, get a predetermined result, and really don’t experience the excitement of science and the whole process of discovery," Moreno said. "We know that if we enable students to ask their own questions, design their own experiments and discover their own answers, they are more likely to develop a greater interest in science." On Earth, roots grow in the direction of gravity’s pull. Light influences the direction in which stems and leaves grow. However, in the microgravity environment of space, plant roots can grow in any direction. The Plants in Space project seeks to determine if white light heavy in the blue spectrum can influence the direction of root growth in microgravity. Previous research has shown that plant roots respond weakly to blue light. The project also will study the affects, if any, of seed orientation on the direction of root growth. To that end, the experiment design calls for seeds to be mounted in different orientations on a piece of balsawood, which then will be placed on top of the growth medium. Data gained from the primary and secondary scientific investigations may aid in the development of systems and techniques used by future astronauts to grow their own food during extended spaceflights to destinations such as Mars. "If we are thinking about growing plants for long-term missions in reduced gravity, the orientation of plant roots in a growth medium becomes an important challenge to address," Moreno said. NOTES: All Plants in Space materials can also be accessed at www.bioedonline.org and www.k8science.org. Additional support for the Plants in Space Project comes from Houston Endowment Inc. and Howard Hughes Medical Institute.